The Jaguars Softball Booster Club would like to announce and introduce Rob Giesen as our new Varsity Head Coach! Rob is a native of New Prague where he was a 3-sport athlete. He captained both the basketball and baseball teams and was an all-conference pitcher and catcher. Rob played college baseball at the University of St. Thomas competing as an outfielder and relief pitcher. After college, he began his coaching career as a men’s amateur baseball coach and girl’s basketball coach. He served as the varsity head basketball coach at St. Louis Park High School for six years. 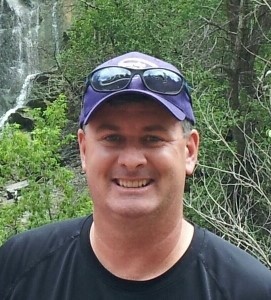 Rob has coached softball for the BFA and is currently a head coach with the Clutch Hitters club softball program. After graduating with a degree in business administration, Rob has spent his entire career in management and is currently the Vice President of Operations for Encompass, an engineering firm in Minnetonka. Rob, his wife Renee, and daughter Lauren have lived in Bloomington for the past 12 years. Please help welcome Rob to the Jaguar softball family when you see him. We wish Rob, his coaching staff and the players the best of luck this coming season! 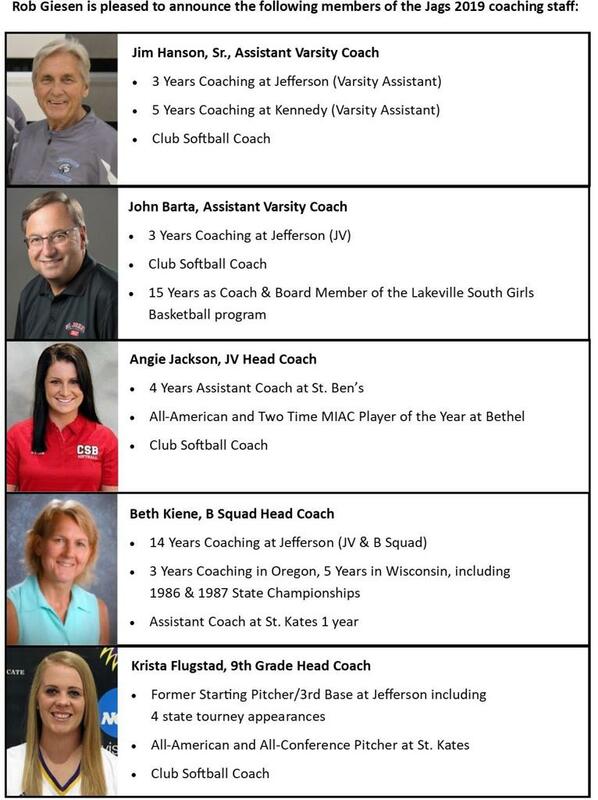 We also want to welcome the 2019 Coaching Staff!